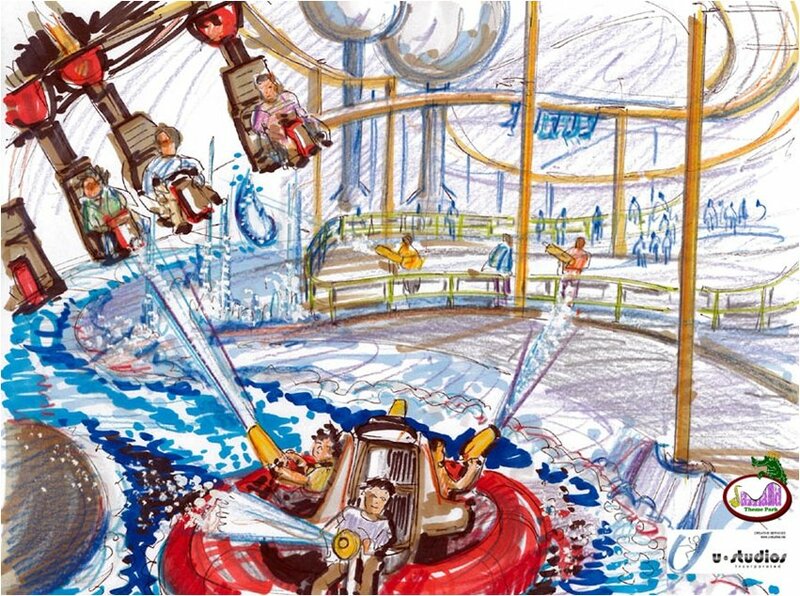 Two new proposed attractions in the Sportsman's Paradise area are shown in this concept artwork. A new family coaster will glide above a new river rapids ride. Both attractions should help guests stay cool.